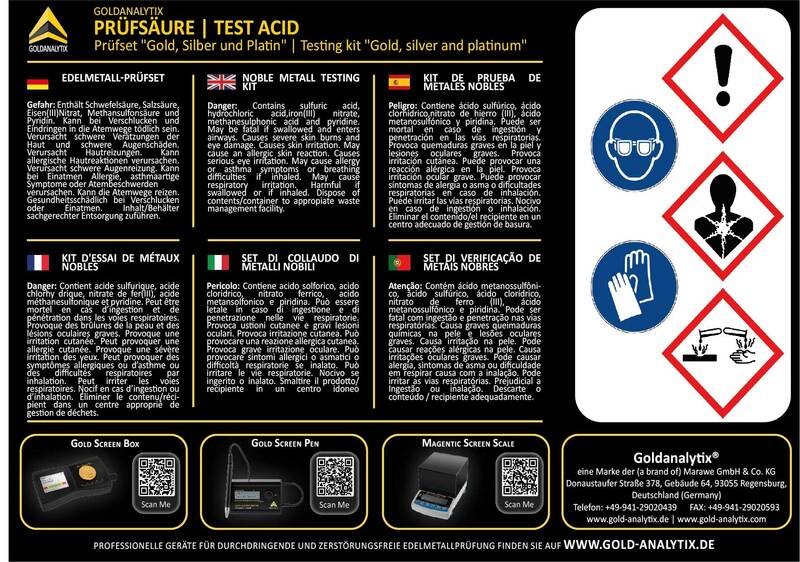 Product information "Gold testing kit"
Our gold testing kit allows you to test the authenticity of gold and gilded surfaces, as well as their alloy proportion. With our certified spatula closure, you can easily apply the testing acids on the gold abrasion and have a reliable information about the karat content of the object's surface after a short exposure time. A detailed instruction manual of the gold testing acids and silver testing acids are included. The testing acids are produced and tested by our professional chemists, so you can always rely on the product's high quality. 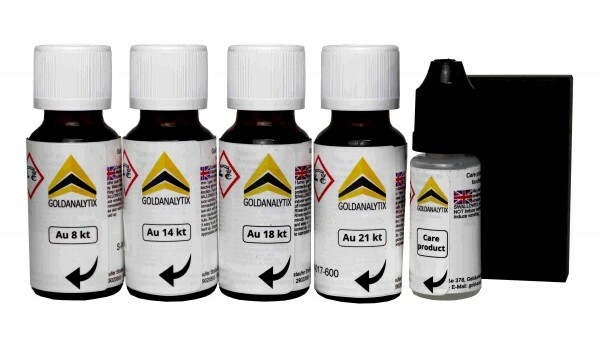 Related links to "Gold testing kit"
Instruction manual for Goldanalytix Gold testing kit as PDF file. Customer evaluation for "Gold testing kit"